You must log into NYCAPS with your User ID and Password. Once there select Deduction Information. 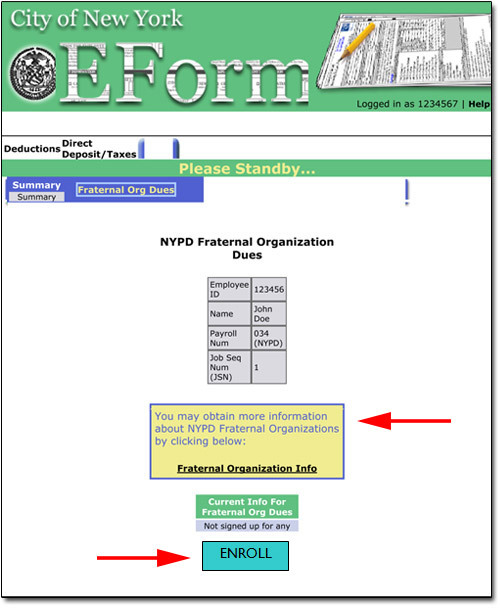 You will be on the page with several options, pick NYPD Fraternal Org. Dues. The next page will be “Confirm Application”, press Confirm. Congratulations now you’re a member… Just remember, signing up is for that current year only. The City will be deducting the dues automatically till you retire. You must seek out your delegate at your precinct, he/she will have a list of paid members and your new card.